Dont Forget To Wait Until The End of The Video For VATS Weekly And See What The Mysterious Stranger Has Been Up To. 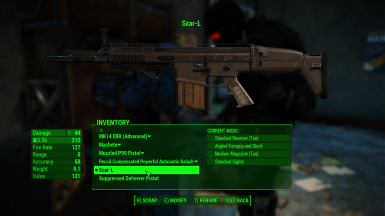 Weapon mods used are FN [url=https://www.nexusmods.com/fallout4/mods/18726]SCAR-H[/url], [url=https://www.nexusmods.com/fallout4/mods/27739]McMillan CS5[/url] and [url=https://www.nexusmods.com/fallout4/mods/18796]Sig Sauer P220[/url]. 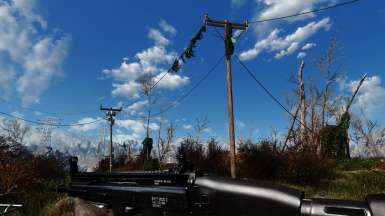 All 3 hostered weapons are compatible with [url=https://www.nexusmods.com/fallout4/mods/10317]Visible Weapons - 3rd Person Holster[/url]﻿. All mags in ammo pouches are from the respective weapons. Hey guys, this is a fun video I made about goofing off in the area around Diamond City! I have a ton of mods, so if you want the list, just leave a comment! -You guys like my content? Let me know by liking, subscribing,sharing, or commenting! 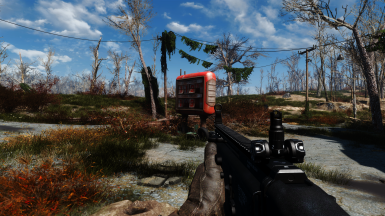 The Flamingo by Kieza313: http://www.nexusmods.com/fallout4/mods/18717/? Handmade Revolver by asXas: http://www.nexusmods.com/fallout4/mods/18457/? The Assault Flamer by MikeMoore: http://www.nexusmods.com/fallout4/mods/18459/? 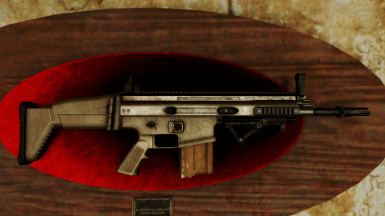 Today I take a look at SCAR-H, Cavalry Revolver and a quest mod called Fusion City Rising.